Enjoy a great neck and shoulder massage after a hard work day. Recommended for people with muscle related neck and shoulder pain and for people with tension type headache, but Relax Neck & Shoulders feels good for everyone. 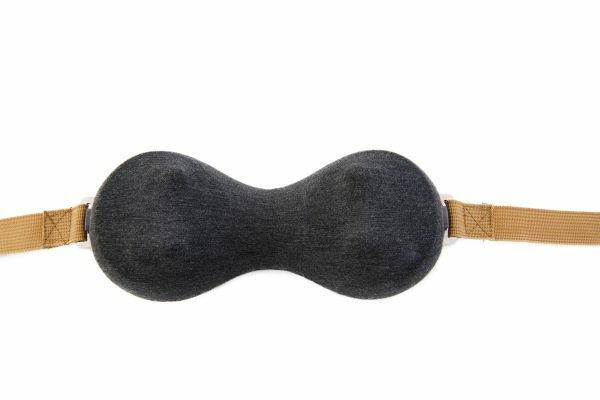 Many people also use the Relax Neck & Shoulders on tighs, back, legs and arms when removing the handles. 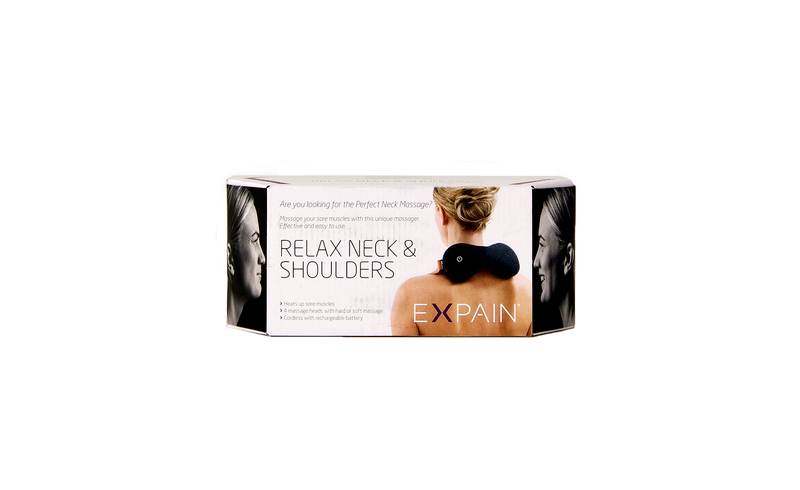 Expain Relax Neck & Shoulders is very easy to use and it takes only a few seconds to learn how to use it. Turn on by holding the power button for 3 seconds. 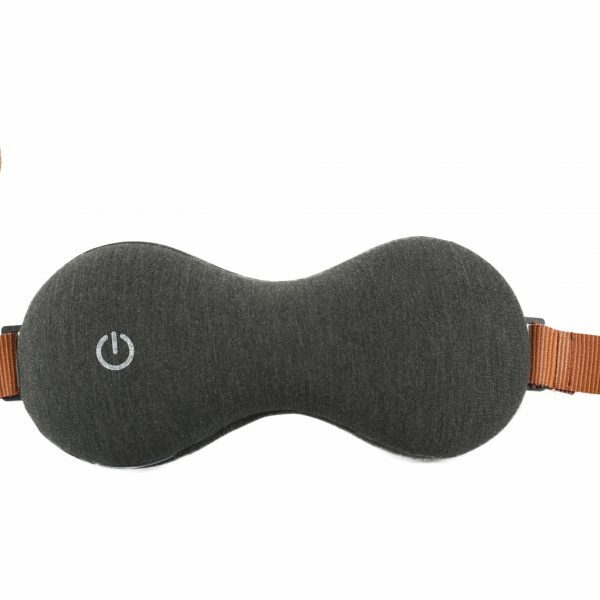 With a short push of the same button you can change from soft to hard massage by changing the direction of the massage heads. 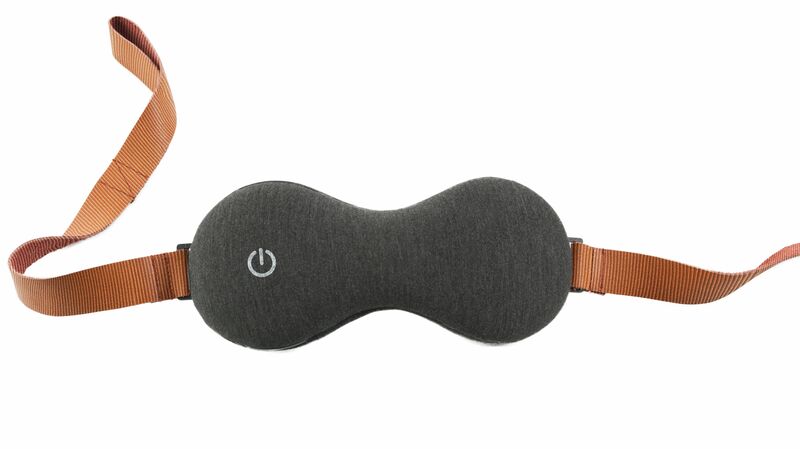 The light is purple when soft massage and blue when hard massage and red when charging is needed. Charging is done with micro USB. Expain Relax Neck & Shoulders is placed on the neck or shoulders, and the underarms are put into the straps to hold the neck massager in place and adjust the force of the massage. 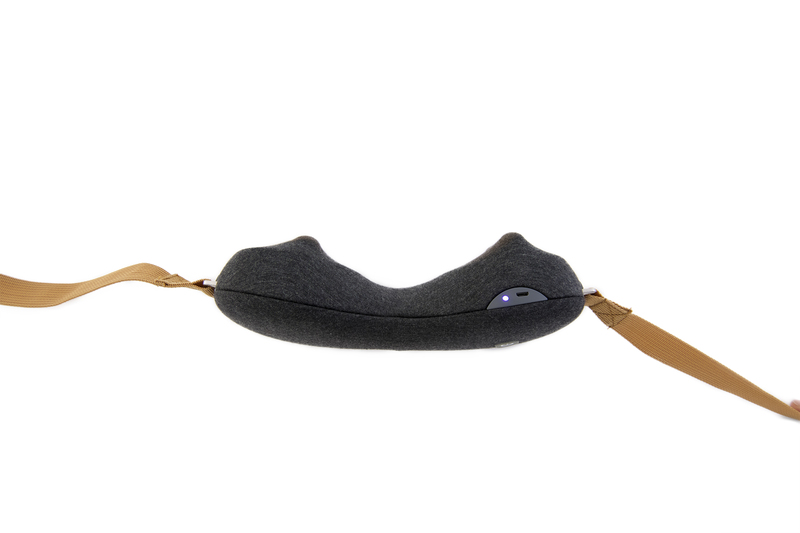 The neck massager can also be placed on the backrest of a chair or sofa while not holding the handles, so that your arms are free to read a book or handle the phone or tablet. 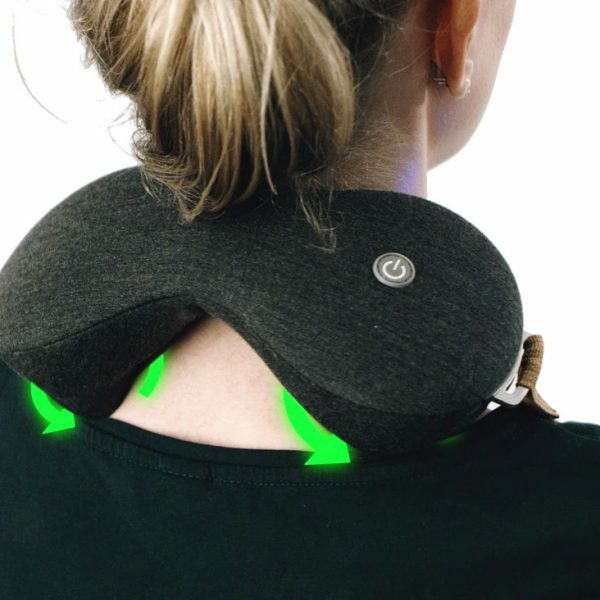 The heated massageheads has two angles of attack which gives hard massage or soft massage depending on this angle and the rotation direction of the massage heads. 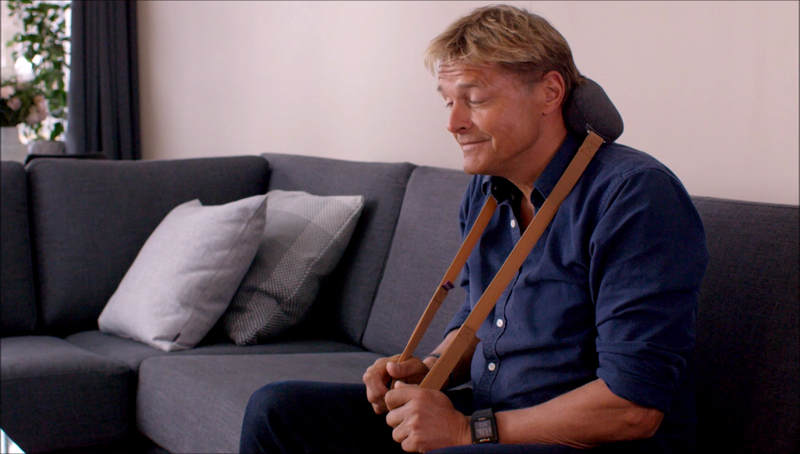 The nordic furniture design let you keep EXPAIN Relax Neck in the livingroom so that you are reminded to take a massage often. Removeable handles and joint enables use on neck, shoulders, tighs and arms.